I ordered 15 plants and all lived but 2 so overall I am very pleased and can't wait to order more. They really made my area look good and its no longer bare and bland. This technique worked well, and I will definitely use this seller again when ordering plants. They packaged it all well. Autumn Ferns, as the name suggests, portray dazzling autumn colors. These ferns change colors beginning in spring, and typically by summer's end is brilliant green once more. This feature ensures high contrast color schemes in your landscaping or garden that is constantly changing. This is a small fern, great for lining paths, walkways, and flowerbeds. They are shorter lived than other varieties, living 3 to 5 years. Over their lifespan, the plants should be divided for best appearance. To keep autumns looking their best, use mulch, or pine needles as a ground cover to preserve moisture during dry parts of the year.TN Nursery has Autumn Ferns and many other fantastic, gorgeous garden and landscaping plants at the lowest wholesale prices you will find! This fern is great to add lots of color to an area. Autumn Ferns work wonderfully when considering them as a ground cover. These are very beautiful and brings lots of color to all gardens, and they are very easy to grow for all homeowners. 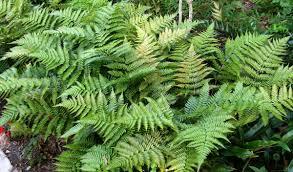 Native to Asia, the autumn fern (Dryopteris erythrosora) is also called the Japanese shield fern or Japanese wood fern. 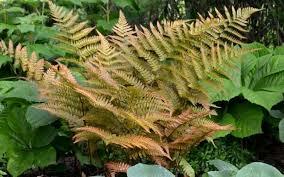 Its more common name of autumn fern describes the gorgeous colors of the fern as it comes up in spring. 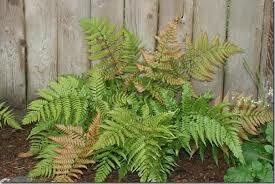 The fronds first emerge as a beautiful copper-red, then turn to bronze and finally to kelly green in summer.Like most ferns, the woodland fern grows best in a shady location, ideally an east- or north-facing side of a building. Although they will survive in a western exposure, they will not grow as well, and their beautiful emergent colors will not be as strong.Autumn ferns grow about one and a half feet high and spread about two feet wide. Their foliage arches and radiates outward from the crown, sometimes producing new copper-colored leaves during the growing season. Autumn Fern are also slow to stop growing and die back in fall; Autumn Fern are semi-evergreen in northern climates and evergreen in warmer southern climates. Autumn Ferns can also be found growing wild in wooded areas where conditions are just right for them.